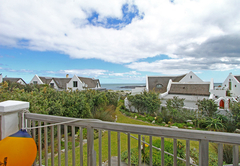 At Kommetjie Way is a property providing self catering in Kommetjie for up to 6 guests visiting the Atlantic Seaboard region. 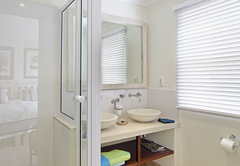 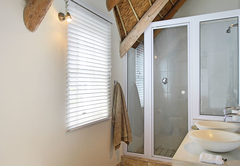 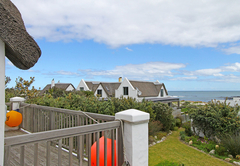 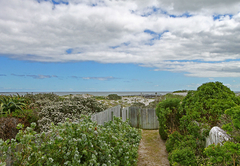 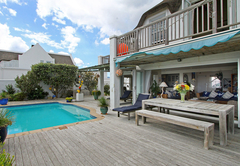 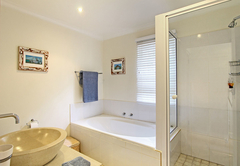 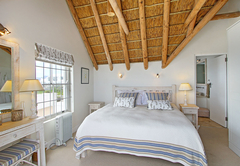 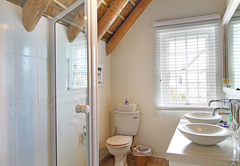 Spacious and comfortable, At Kommetjie Way is a lovely beach house set just back from Long Beach. 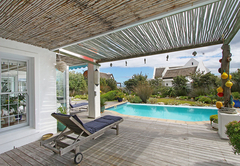 This villa is perfect for a relaxed family holiday; it is very child friendly with a solar heated pool, an enclosed indigenous garden and private path down to the beach. 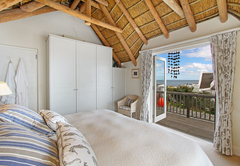 The house offers splendid sea views from the upstairs bedrooms where you can watch the sunset and fall asleep to the sound of crashing waves. 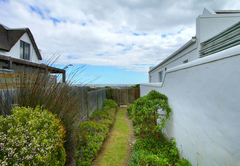 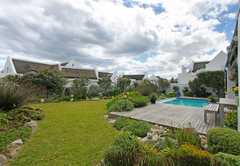 At Kommetjie Way is a double storey home sleeping six guests in four bedrooms (all with en-suite bathrooms). 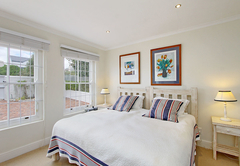 The main and second bedrooms are both situated upstairs and are furnished with Queen-size beds. 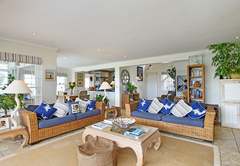 These two rooms have a private deck and sea views. 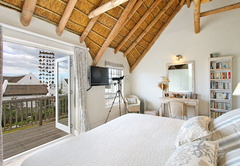 The main bedroom has DStv. 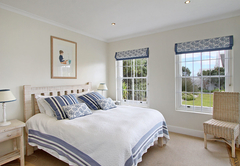 The third and fourth rooms are downstairs; the third bedroom has a double bed and opens via French doors onto the pool deck while the fourth room has twin beds. 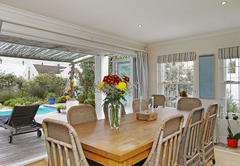 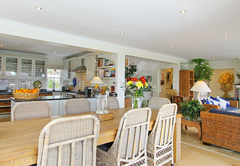 There is an open plan living and dining area that leads onto a pool deck and indigenous garden. 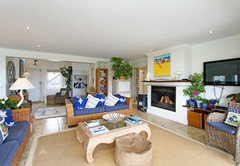 Full DStv as well as a DVD player and sound system are provided. 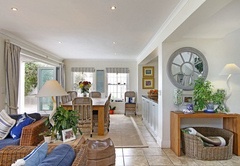 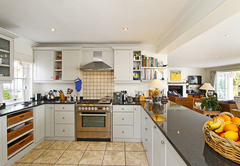 The kitchen is well equipped for self-catering and the house includes a separate scullery with tumble dryer, washing machine and dishwasher. 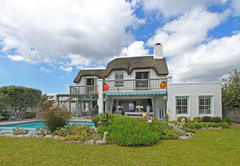 Spacious and comfortable, Kommetjie Way is a lovely 4 bedroom, 4 bathroom en-suite beach house just back from Long Beach in Kommetjie. 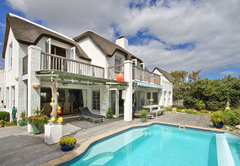 This villa is perfect for a relaxed family holiday, it is very child friendly with a solar heated pool. 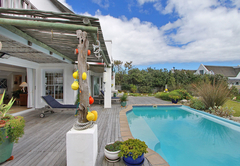 Response timeAt Kommetjie Way typically responds to requests in 5-10 minutes.